Holi is just around the corner and people are gearing up to celebrate the festival of colours with full enthusiasm. The celebrations of the colourful festival has begun and people are all set to play Holi with colours, gulal along with their family and friends this year. This year, Holi will be celebrated on 20th and 21st March 2019. It is one of the most significant festivals of India, which is celebrated in Indian in different ways. On this auspicious day, people used to gather at one place to play with different colours or gulal. At some places, people used to play with flowers and the special one in Mathura which is popular as Barsane ki Holi or ‘lathmar Holi’. Besides, playing with colours, Holi festival synonym is several traditional mouth-watering delicacies. 200 gm all purpose flour. 1 teaspoon powdered green cardamom. 1/2 tablespoon bhang seed powder. 1/2 cup soaked urad dal. 2 teaspoon finely chopped, peeled ginger. 1 tablespoon sweet tamarind sauce. 1 teaspoon crushed black pepper (kali Mirch powder) - optional. 1 teaspoon cumin seeds (jeera) - optional. 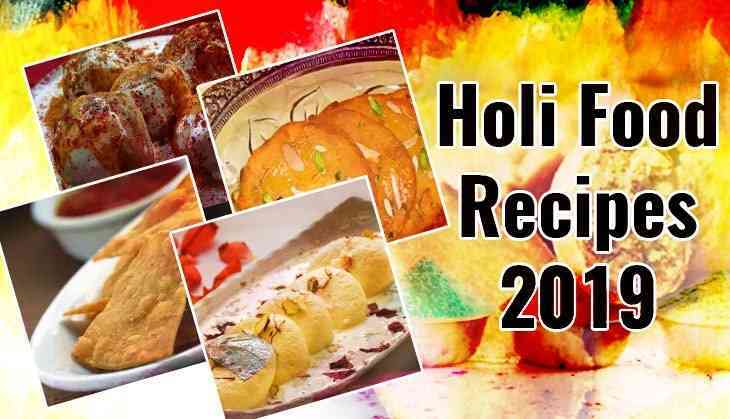 Celebrate your Holi with these amazing delicacies!